- Buses - A bus conductor calls out for passengers. 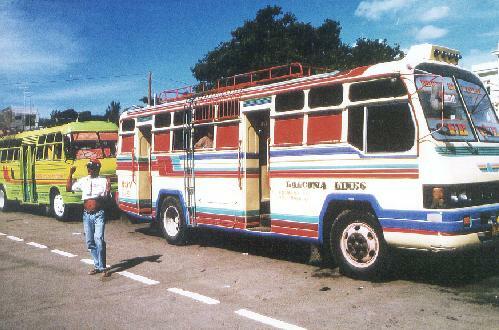 These rugged buses connect all the island's towns with inexpensive fares. 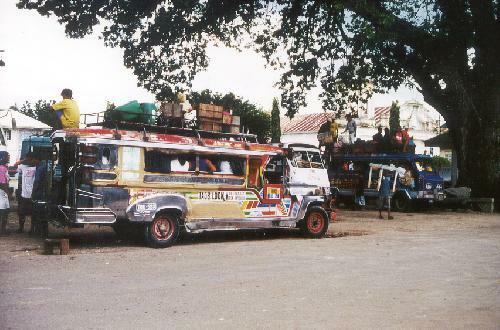 - Jeepneys - The ubiquitous jeepney carries both passengers and cargo. 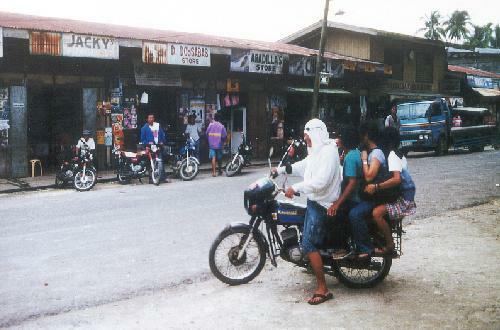 - Tricycles - These motorcycles with sidecar provide taxi service in many towns. They carry a surprising number of passengers (as many as 6) and cargo. 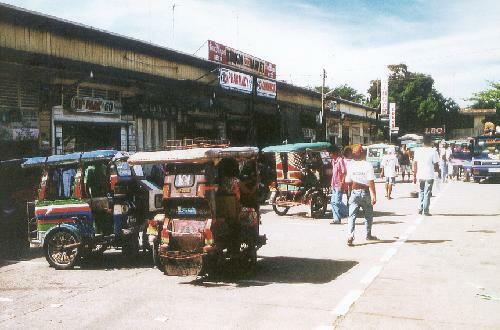 These are in the market of Tubigon. - Motorcycles - Where no other vehicle chooses to go, you can find motorcycles that will carry the whole family.